The group of top researchers, scientists and thinkers warned Jan. 24 that the world is in a “new abnormal” state of crisis that is comparable when the United States pursued the hydrogen bomb in 1952. 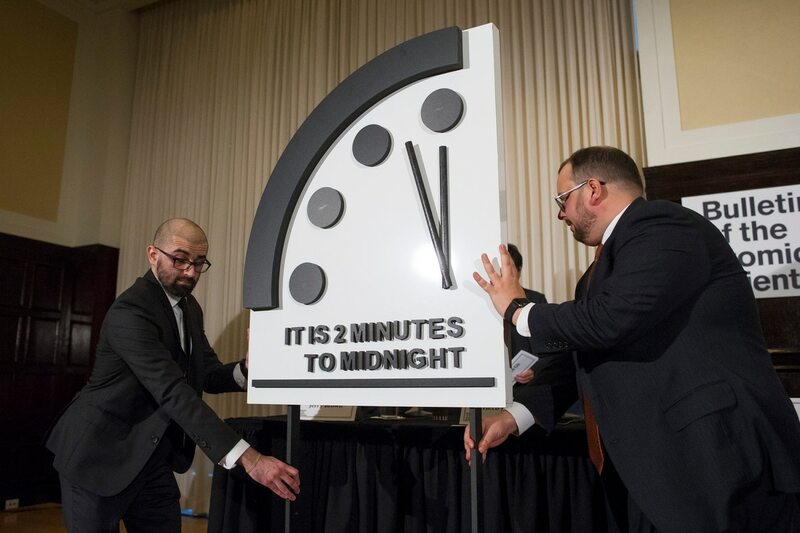 Since 1947, the Bulletin of the Atomic Scientists has released a report that uses the clock as an indicator of how close the world is to an existential threat to humanity, or midnight. As institutions and government agencies face a proliferation of hacking ― attacks that often undercut humanity’s trust in those organizations ― the new fears fuel the state of crisis, said Herb Lin, senior research scholar for cyber policy and security at Stanford University and contributor to the report. “The lack of cybersecurity for your systems is dangerous because it reduces confidence in the infrastructure,” Lin told Fifth Domain. He gave an example of how fears of election hacking can undermine voting confidence. He described the threat as an “insidious use of cyber technology and cyber tools to target and exploit weaknesses in human cognition and thinking." Evidence shows, however, that such disinformation campaigns occurred during the 2018 midterm elections. “Russia, and other foreign countries, including China and Iran, conducted influence activities and messaging campaigns targeted at the United States to promote their strategic interests,” Director of National Intelligence Dan Coats said in a review of the mid-term election’s security. To stem the tide of cyber and information warfare, the Bulletin of the Atomic Scientists suggested a collaborative approach between countries. “The international community should begin multilateral discussions that aim to discourage cyber-enabled information warfare,” the group said in its annual report. However, rallying major powers around an agreed upon set of norms has so far been unsuccessful in cyberspace. The prospects for future cohesion appear to be slim. Discussions between countries at the United Nations over cyber norms have stumbled because of differences between Russia, China and the United States regarding how international humanitarian law should be applied. Although the United States and China agreed to halt the hacking and use of business secrets in 2015, experts say the measure did not work.